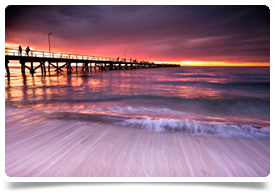 GP position available at a fantastic teaching practice on the south eastern coast of Australia. Only 1 hour drive south of Adelaide, the town is a beautiful coastal resort with great food and vineyards. There is the option for equity / partnership in the business for the future and is suitable for GPs who require supervision or want to take part in teaching. The practice is based on the Fleurieu coast only just over an hours drive to Adelaide. The practice is looking for a GP to join the team of 7 GPs. You will work as an independent contractor providing GP services to the practice and emergency services as part of a roster with other GPs. The practice has an extensive program for teaching and training of medical students and registrars. The position is 10 sessions per week from Monday to Friday and approximately one evening per week on-call and 1:5 weekends. You will need good general practice experience and recent A&E experience. This can be gained by up-skilling whilst waiting for your paperwork to be completed. The town is based south of Adelaide on the Fleurieu Peninsula. It is a beautiful town with great food, vineyards and stunning coastline whilst only being an hour’s drive to the city of Adelaide. What Head Medical can do for you….